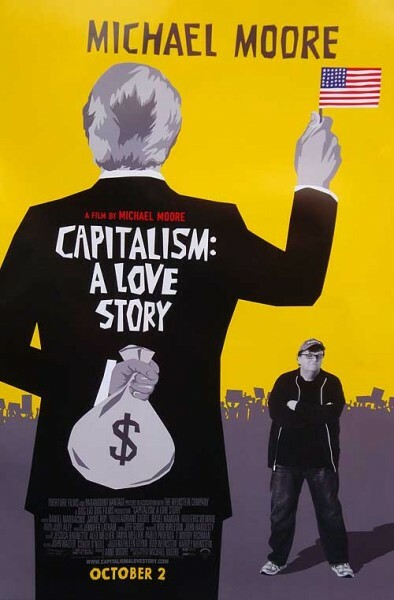 Michael Moore’s Capitalism: A Love Story comes home to the issue he’s been examining throughout his career: the disastrous impact of corporate dominance on the everyday lives of Americans (and by default, the rest of the world). With both humor and outrage Capitalism: A Love Story explores a taboo question: What is the price that America pays for its love of capitalism? Years ago, that love seemed so innocent. What Moore finds are the all-too-familiar symptoms of a love affair gone astray: lies, abuse, betrayal… and 14,000 jobs being lost every day. Capitalism: A Love Story is both a culmination of Moore’s previous works and a look into what a more hopeful future could look like. It is Michael Moore’s ultimate quest to answer the question he’s posed throughout his illustrious filmmaking career: Who are we and why do we behave the way that we do? The film is showing at Hubspace, Unit 102, Old Castle Brewery Building, 6 Beach Road, Woodstock. We will be starting the film at 18:30 so please come around 18:00 for drinks and networking. This forum is open to anyone to contribute, share and drive change.